Yes, in fact I lost more than 10 pounds, over 11, but who ever says that they want to lose 11 pounds? But plenty of people, including myself have agonized over how to lose 10 pounds fast and even more. 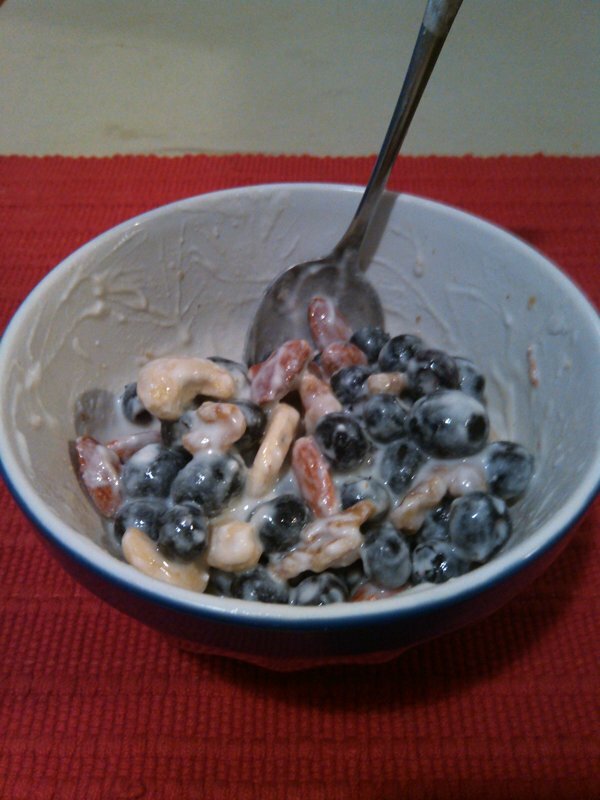 A couple of days ago I posted why I am doing the Stephan Pinto C Diet . The summary is that even though I made great progress on my own from June 21, 2012 in losing 75lbs, I had gained back 30lbs over the last year. That is a lot of weight to put back on, but not totally new for me. I have been up and down my whole life and assume that I am addicted to processed food like the other 100 million Americans who seem incapable of regulating their weight. See below for actual statistics from the CDC regarding the plague of obesity in the USA. I am sure there are many others like me who have never even been the same weight for any length of time at all. Some people have been the same weight since they were eighteen, if I looked at a graph of mine, I am sure it would look like the swiss alps, up, down, hills and valleys, no even landscape. So, two sundays ago I decided to acknowledge where I was and see if I can learn some new angles, habits and strategies from another person who had been overweight on processed foods and successfully has dealt with it. 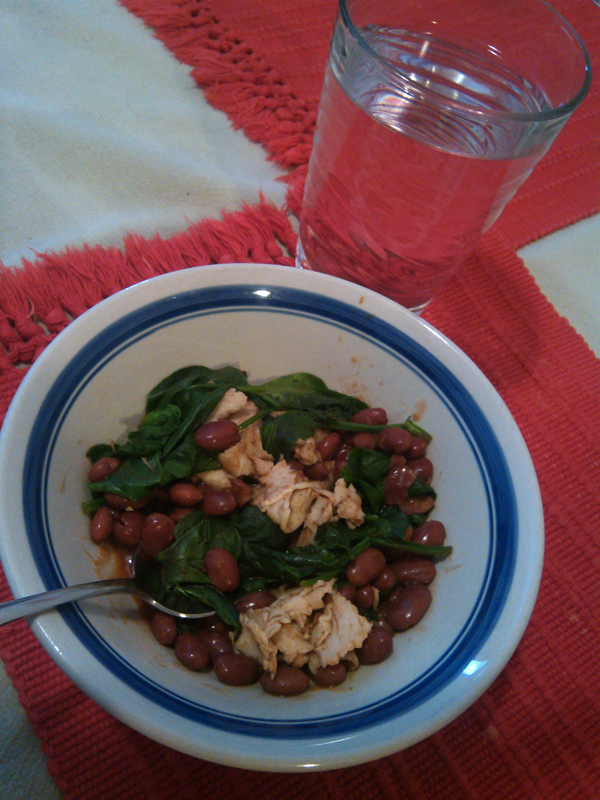 That is what brought me to the Stephan Pinto C Diet. I have known now for a couple of years that processed food was the scourge for me, and as soon as I started to slack off of eating only real food, the weight gain started. I do know how to lose 10 pounds fast, I even know how to lose 75 pounds over the course of time. What I have yet to learn is how to keep it off! 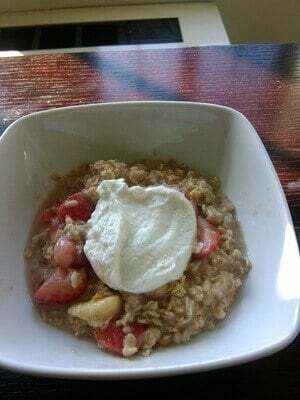 I knew that I got my leanest and felt best when I was eating real food and doing what I called real strength routines. But, sometimes, what I have learned by trial and error is not enough. I want to up my game in 2014 and am determined to do so. Of course my goal was not just in losing weight, but in successfully making it a lifestyle. One of the main reasons was that I want to learn from someone who has not only kept the weight off, but has also gotten much stronger. Probably most importantly, I want to be able to celebrate occasions with my loved ones and friends in a healthy way. For me, my downfall has always been at the first bite of bread, bagel, muffin, roll, pizza, cake, noodles. That sure makes it hard to enjoy a birthday or holiday with someone you care about or who cares about you. So, my hats off to Stefan and I will continue to document the progress that I have been making. I will not be sharing the unique and excellent nutritional and supplement strategies that I am gleaning from the Stephan Pinto C Diet , for that, please check out his facebook page and I highly recommend Stephan Pinto C Diet for yourself, he knows what he is talking about and is a great mentor. 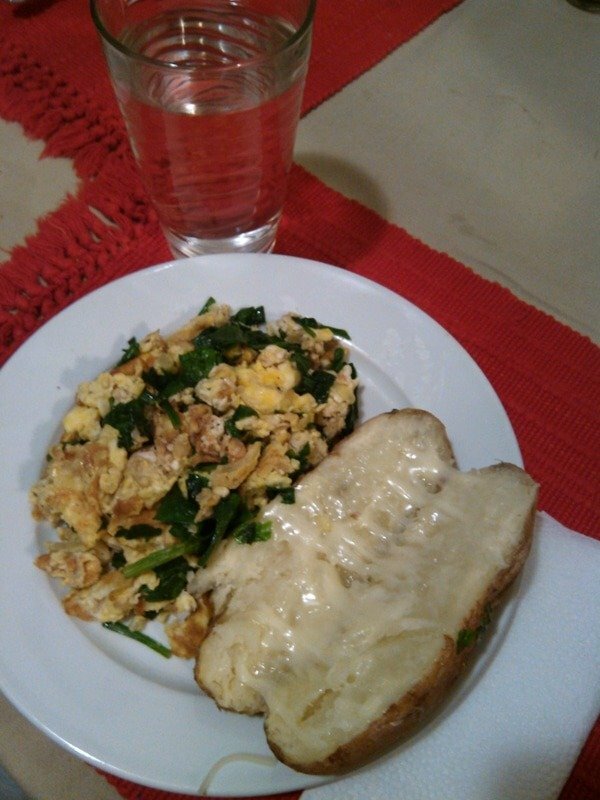 I am just going to be posting my own generic meal and strength plan, similar to what I have done on Hashimashi for the last year and a half, the main difference here though is that I am doing my best to share with you sample meals and exercises that you can do yourself to lose ten pounds in ten days. Of course, that is not the goal, the goal is to get to a normal weight and live a normal life without putting the weight back on! But, over the last ten days, I noticed that significant weight loss, so I knew it would be beneficial for anyone who wants to see how to lose 10 pounds fast. I have made some very exciting progress over the last 10 days. I have been on the weight loss roller coaster for decades, as sad as that is. I know it myself, so I am the last one to judge another than to say that I hope I can make an end to the up and down ride once and for all. Anyone who has been on this ride knows that it just is not any fun. So, the previous week, I had made some good progress and got down to 196 or 195, and then the weekend came and splat all over the place. Has that ever happened to you? Well, for whatever reason that cheat cost me 5 to 7lbs! Yes, rolls, soups, cookies, even though I packed it into one day and a half only, I put on 10lbs on the scale. Believe me, I was as frustrated as I am sure you have been if you have ever experienced it. But the truth is that I knows that I had way too much food. So starting last Sunday, when I actually weighed in at 205lbs, which is even heavier than when I first started at 202, I told myself that I have to be more strict in some ways and more liberal in others. Meaning, I wanted to get to sleep on time first off. Then, I wanted to wake up early, do whatever I have to to motivate and inspire myself to make real changes, as they say, to be the change, to not fear it, but rather to embrace it. Well, after just 10 days, I made some real great progress. I say 10 because I have been at it now for 10 days, that has been the best progress has really been in the last ten days. Now, the trick is to stay there and keep moving forward. Let me point out the major changes that I made over the last 10 days, the exact steps that I took to lose this 10 pounds. Once you read through this article, you will know how to lose 10 pounds fast. And if you keep on adhering to this type of program for a longer period of time, for sure you will lose more if you have to. Even over the weekend, I still went down a couple of pounds which is of a welcome change from the previous one where I had gone up. Non-Hispanic blacks have the highest age-adjusted rates of obesity (49.5%) compared with Mexican Americans (40.4%), all Hispanics (39.1%) and non-Hispanic whites (34.3%) [SeeJAMA. 2012;307(5):491-497. doi:10.1001/jama.2012.39]. By state, obesity prevalence ranged from 20.5% in Colorado to 34.7% in Louisiana in 2012. 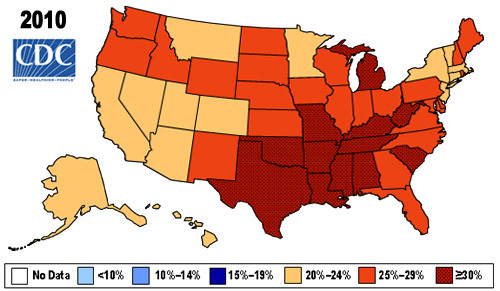 No state had a prevalence of obesity less than 20%. Nine states and the District of Columbia had prevalence between 20-25%. Thirteen (13) states (Alabama, Arkansas, Indiana, Iowa, Kentucky, Louisiana, Michigan, Mississippi, Ohio, Oklahoma, South Carolina, Tennessee, and West Virginia) had a prevalence equal to or greater than 30%. goal to lower obesity prevalence to 15%. Rather, in 2010, there were 12 states with an obesity prevalence of 30%. In 2000, no state had an obesity prevalence of 30% or more. The animated map below shows the history of United States obesity prevalence from 1985 through 2010. Clearly, there is a problem when during even the last 20 years, obesity has increased in every state for every income and education group. Enough said. I plan on updating this post every day and will start with the most recent day and the most current weight in pounds, percent bodyfat and body mass index. tablespoon of Chobani non fat vanilla yogurt. I recommend 5 sets of a number of pushups that you are comfortable with. Today for example I did 32 pushups for 5 sets throughout the day, usually before and after a meal or snack, which gave me a total of 160 pushups during the day. Remember that on June 21, 2012, I started with one pushup, so if you can only do one pushup, no worries, just do one, for five sets and improve gradually, and if you cannot do a pushup, then just get in the starting position for a pushup and hold it, which is called a plank, for 10 seconds and work your way up to holding it for 20, 30, 40, 50 and 60 seconds. And if you can get up to 60 seconds, then by all means, go up to 90 seconds as is recommended by the trainer Pete Cerqua who has some great strength training ideas and routines which you can find in his books. The bottom line is that the above meal plan and strength workout are some of the most important keys in how to lose 10 pounds fast, in how to get fit and into shape in general. Another key point in how to lose 10 pounds fast is that you stick to your meals and snacks with discipline. You cannot start to walk around your house having nothing to do and keep snacking on any food, whether it is healthy or not. Except for vegetables, like celery and carrot, just forget about prancing around with jelly beans or even more nuts than you have during your snack. Stick to a serving size. If a serving size of almonds is an ounce, stay with that, do not eat five ounces, because you will definitely regret it when you step on the scale the next day or next week. Getting to sleep early and waking up early is another key fundamental in how to lose 10 pounds fast. I will be updating additional good habits to focus on in order to help you acheive your goal. If you have your own strategies on how to lose 10 pounds fast, or your own experiences, please comment. Thanks. If you are in the middle of your own get in shape adventure, please share!